Situated in a mountain landscape, Snezhniy Bars Cheget offers spacious rooms and easy access to the mountains and ski lifts of Cheget. Internet via modem is free throughout the hotel. All rooms have heating, en suite bathrooms and flat-screen satellite TV. In addition all rooms feature a balcony, providing dramatic views of the mountains and the Elbrus area The restaurant at Snezhniy Bars Cheget serves a large buffet breakfast every morning. For lunch and dinner, guests can enjoy an extensive menu of European and Caucasian cuisine. Snezhniy Hotel offers massage facilities and a billiards table. Excellent skiing and hiking is available in the local area, and the village of Terskol is just a 10-minute walk away. Free on-site parking is available at Snezhniy Bars Cheget. Offering a spa with indoor pool, international cuisine, and a garden with terrace, this 3-star hotel in Terskol is just 200 metres from the ski lift serving Mount Cheget. Centrally located in the Prielbusie resort, Hotel Povorot has spacious rooms and suites with satellite TV and a minibar. Some include a balcony. Wi-Fi is free here. Spa facilities at the Povorot include a sauna, steam room, and gym. A ski school, billiards room, and children’s playground can all be found in the Prielbusie resort. Full English breakfasts are available at the Povorot Hotel. Guests can try European, Russian, and Caucasian specialities in the evenings. Discounted ski passes for the Elbrus and Cheget ski lifts are sold at the Povorot. The Elbrus ski lift is just 4 km away. The reception is open 24 hours a day. Kogutai Hotel is located in the Cheget ski resort, just 50 metres away from the nearest ski lift. It offers simply furnished rooms and a traditional restaurant with a pretty terrace. Every room at the Kogutai Hotel comes equipped with free Wi-Fi and satellite TV. You can choose between compact suites with a private bathroom, or simple rooms with a shared bathroom. Hearty Caucasian dishes and local specialities are available in the hotel restaurant. There is also a bar serving a large selection of international drinks. The A158 motorway junction is just 2 km away from the Kogutai Hotel. Free Wi-Fi, a traditional sauna and an indoor swimming pool are offered at this hotel in Terskol village. Hotel El’brusia is 1.5 km from the cable car to Mount Cheget and 3 km from the one to Mount Elbrus. The El’brusia is a 4-floor hotel offering a variety of individually furnished rooms, which all include homelike décor and an en suite bathroom with shower. Some rooms have a TV and mountain views. The 24-hour restaurant offers a selection of à la carte European and Russian cuisine, and dishes can also be delivered to guests’ rooms 24/7. Food shops can be found within a 5-minute walk. 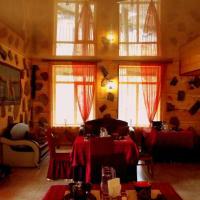 The hotel can organise hiking, cycling, horse riding and skiing tours here in the North Caucasus region. An indoor tennis court and a library are just a 5-minute walk away. On-site parking is free at Hotel El’brusia, and a shuttle service is available. The hotel is 130 km from Nalchik, the regional capital of Kabardino Balkariya. This hotel at the foot of Elbrus Mountain is only 100 metres from the nearest ski lifts. It offers ski equipment rentals, and also features a sauna, traditional-style restaurant and sun terrace. Balkaria’s rustic-style rooms offer wooden furnishings, cosy carpets and underfloor heating. Every room includes a satellite TV and private bathroom. Guests are provided with breakfast in the hotel’s lodge-style restaurant, which features a fireplace and exposed stone walls. Drinks are available at the restaurant bar. The surrounding countryside is ideal for skiing, hiking and fishing. Guests can enjoy table tennis and billiards in the hotel’s games room or enjoy a book in the library. Balkaria offers free private parking on site. The accommodation can arrange for shuttle services upon request. An indoor swimming pool, a sauna and free Wi-Fi are features of this Terskol hotel. 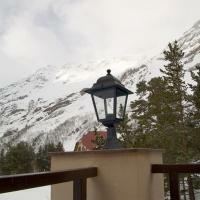 It is ideally located for skiing, with the nearest ski lift only 150 metres away. Antau’s rooms offer a homelike ambience, with wooden furnishings, carpets and curtains. Every room has a balcony, and includes a wardrobe, TV and private bathroom providing slippers. Guests can order breakfast at Antau's restaurant, which serves Russian and European cuisine. A variety of drinks is available at the well-stocked bar. Pansionat Antau bus stop is 10 metres from the hotel and Tirniaus city can be reached in 45 minutes’ drive. At the hotel, guests can enjoy games of table tennis and billiards. Free private parking is available on site at the Antau hotel. Nalchik Train Station and Nalchik Airport are a 2-hour drive away and shuttle services can be arranged. Located 100 metres from Azau ski slopes, this hotel offers spacious rooms with satellite TV, and a Russian steam bath. There is also a café with free Wi-Fi. Each room at Virazh Hotel features warm coloured décor and a fridge. A shower is provided in bathrooms. Full board meal plan is offered in the on-site café, and barbeque facilities are also available. Guests of Virazh can relax in the steam bath and cool off in the small swimming pool. They can also go skiing down the Elbrus Mount slopes, and Cheget Mount is 4 km away. Virazh Hotel is 4 km from Terskol bus stop, offering a direct access to Nalchik. A transfer to Nalchik Airport (120 km) is available. This hotel is set 2000 metres above sea level in the Caucasus Mountains, just a 2-minute walk from ski lifts to Cheget Mountain. Sauna and billiards are featured at Ozon Cheget. The bright rooms offer warm-coloured interiors and classic-style decor. Every room comes complete with a flat-screen TV, a minibar and a private bathroom. The hotel’s restaurant serves Caucasian and European cuisine. Barbecue facilities are provided at the bank of the Baksan River during the summer. Ski lifts to the Elbrus Mountain are a 7-minute drive away. Nalchik is 130 km from Ozon Cheget Hotel, and Mineralnye Vody Airport is 250 km away. Surrounded by pine trees, the Ozone Seven Summits features a wellness centre with indoor swimming pool. It includes a restaurant and a night club, and has free Wi-Fi access in public areas. Featuring a private balcony, rooms at the Ozone Seven are decorated with carpeted floors and dark wooden furniture. They all come with a flat-screen satellite TV, a minibar, and a private bathroom. Guests can enjoy the European cuisine offered at La Terrasse restaurant. The Tsvety offers drinks, snacks, and coffee, while the lobby bar offers evenings with live music. After a busy day in contact with nature, the wellness centre is the perfect spot to recover energies, offering a variety of massages, and Finnish and infrared saunas. A football field and skating rink are just 5 minutes’ walk from the hotel. The airport and railway station at Mineralniye Vody are 175 km from the property, and a shuttle service can be arranged upon request. Surrounded by the picturesque Caucasian Mountains, this hotel is located in the village of Terskol. An indoor pool, a sauna and bowling are featured at Kristall 139 Hotel. Free Wi-Fi is provided in all the comfortable classic-style rooms. All rooms include a TV, slippers and a minibar, and feature a private bathroom with free toiletries. The on-site restaurant serves European, Russian and Caucasian cuisine, and a variety of drinks is offered at the lobby bar and the sport bar. Cheget Ski Lifts are a 3-minute walk from the hotel. Guests are also welcome to play billiards at the hotel. Polyana Cheget bus stop is a 5-minute walk from Kristall 139 Hotel. Nalchik Train Station is 100 km away, and Mineralnye Vody Airport is 150 km from the hotel. Located 250 metres from the centre of Terskol, Hotel Laguna is set 250 metres from Ski Lift Poliana Cheget. It features an on-site bar and restaurant, ski school and ski equipment for hire. There is also a snack bar and a gift shop on site. All rooms are equipped with a wardrobe, a TV, a desk and an electric kettle. Private bathroom provides a shower. Guests can use the laundry service for an additional cost. The front desk is open 24 hours a day and a safety deposit box is available on site. Packed lunches and special diet menus are available upon request. Mountain Cheget is 250 metres away, while Narzan Spring can be reached in 300 meters. Airport Nalchik can be reached in 120 km, while transfer can be organised upon request. Local buses stop 500 metres away. Zvezda Elbrusa Hotel enjoys a quiet location in the midst of National Park Prielbrusie in Terskol, right next to Elbrus Ski Resort. 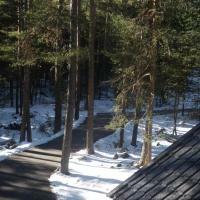 The hotel offers ski equipment rental services, free WiFi and a restaurant. A TV and a refrigerator come as a standard in all the rooms of the Zvezda Elbrusa. Each room has a private bathroom with a shower and a toilet. The restaurant serves Caucasian and European dishes. Guests can relax with a drink at the hotel’s bar, go to one of its shops or have fun at the karaoke bar. Zvezda Elbrusa Hotel provides free barbecue facilities and features bicycle and car rental. A free shuttle bus to the skiing slopes is available. Elbrus Ski Lift is a 10-minute drive. Cheget Ski Lift is reachable on foot in 10 minutes. Nalchik Airport and Train Station are 100 km from the Zvezda Elbrusa. The hotel can arrange an airport shuttle for a charge. Free parking is available.